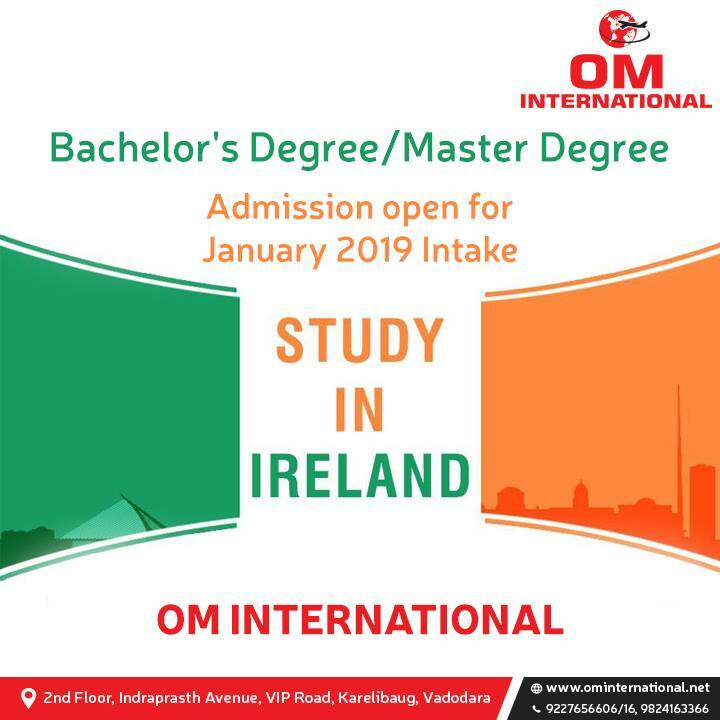 OM VISA Consultancy - Global Immigration, Students, Visitor, Business & Work VISA Consultants: OM International an education consultant of Ireland..!!! OM International an education consultant of Ireland..!!! OM INTERNATIONAL the leading overseas education and immigration consultant provides solutions and meets all requirements concerning Immigration, overseas education and all visa services to destinations across the globe. OM INTERNATIONAL visa consultant aims to give the best services and maintain life-long business relationships with our clients with ethics and trust. OM International consultancy deal with Immigration, Abroad Study and Allied requirements for Australia, USA, Canada, South Africa, UK, Denmark Hongkong, Singapore, New Zealand, Italy, Germany, France, Malta, Ireland, Dubai and are processing inclusion of other destinations in due course of time. 1. NUI Galway International student scholarships – is open to all students from non EU countries and offers scholarship amount of up to 2000 Euros for selected students. 2. DCU international student scholarship – offers scholarships for students studying at Dublin City University and covers cost of tuition for international students. 1. You will need to complete your secondary school certification or equivalent qualification to pursue your under graduate course in Ireland. 2. You will need to show the results of IELTS or TOEFL test to demonstrate your English language skills as the courses are conducted in English. 3. The minimum marks for these tests will vary from university to university. 4. We will guide you through the visa application process for a student visa to USA and make sure that all the requirements are met to the letter.